Private Hire vehicles in bus lanes – If in doubt, stay out! Unless your Private Hire vehicle is authorised, stay out of bus lanes or you will incur a Penalty Charge Notice (PCN). Don’t lecture passengers on your own views and avoid subjects such as politics or religion. Be passive and agreeable and let the customer lead the conversation (that’s if they want to talk). At the end of the journey, you are much more likely to be rewarded with a tip! Park near a wall (but not too close!) to check the rear lights are working, then walk around the car to check all the others. Check the tyres tread by turning the wheel to a full lock. Check all tools (including first aid kit and fire extinguisher) are present and working. Check CCTV Cameras are facing where they should be and are not loose. Check the car interior and exterior for any damage (if there is any damage, this MUST be reported to us immediately). Check all engine bay fluid levels. 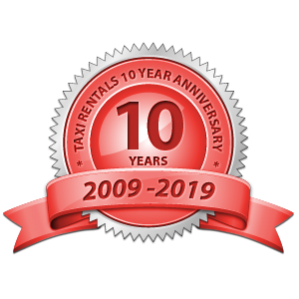 Our rental customers are entitled to FREE top ups when required. 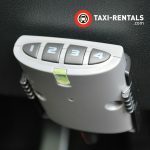 For some Rental & Rent to Buy Cars – You will receive a 6 digit PIN code to enter once your weekly payment has been made. Once you have received your code you must enter it into the keypad in order to keep the car active for the following week or it will become immobilised. If you make an error while entering the code into the keypad, press and hold the numbers 3 and 4 together for 5 seconds until you hear a beep. This deletes the previous code entered and allows you to enter the correct one. If you continue to experience a problem after you have tried this, please call us. Do not keep trying to enter the code. If you still deal with good old fashioned currency, make sure you start your shift with a sufficient float but don’t carry it all in the cab for safety reasons. Keep enough change for a handful of fares in your bag with the rest hidden and top it up over the course of your shift if necessary. We’ve seen first hand the damage that a mechanical car wash can cause. Even worse is the ‘brush-on-a-pole’ self-serve type that you get at a lot of Supermarkets these days. Avoid them like the plague! In our opinion there is no better way to clean and protect your car than to do it by hand. There are plenty of Hand Car Washes around who charge as little as £3 per wash! You can never be too prepared! 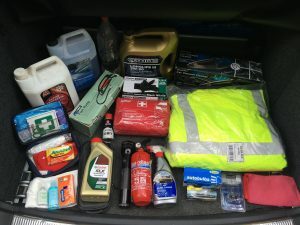 Read our blog post on practical tips for both you and your vehicle when on the road. Whether you’re a rookie or a seasoned pro – It’s good to brush up and review the basics. Check it out here.. Always treat your customers with the respect they deserve and in most situations this will be reciprocated. Always be polite, professional and courteous. You are more likely to receive tips and repeat bookings!